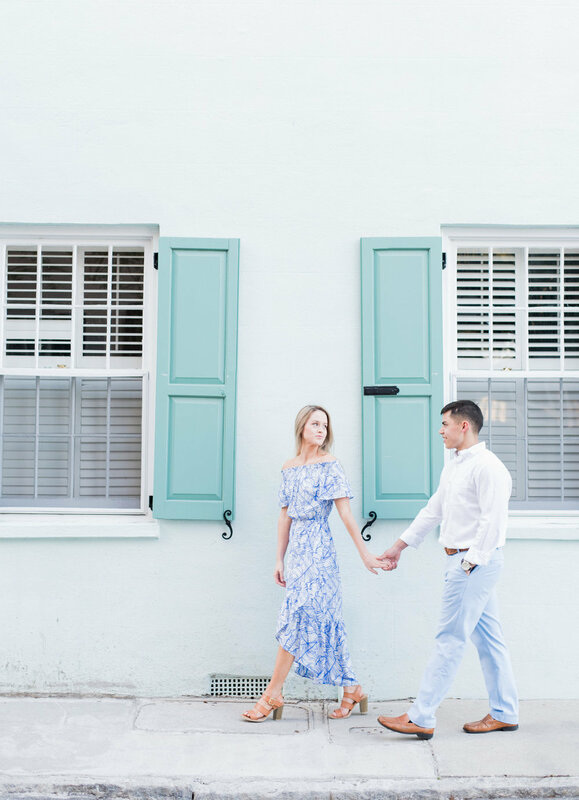 With centuries of history and charm around every corner, downtown Charleston, South Carolina, is perfect for an engagement session. 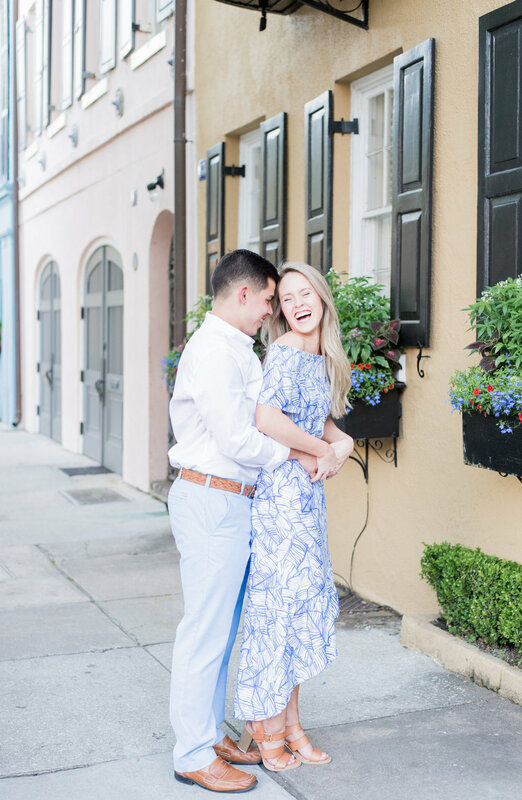 Despite the steamy heat that this Lowcountry city is known for, Melissa and Jonathan worked with photographer Rebecca Hicks to create a romantic, laid back feel for their photo shoot. 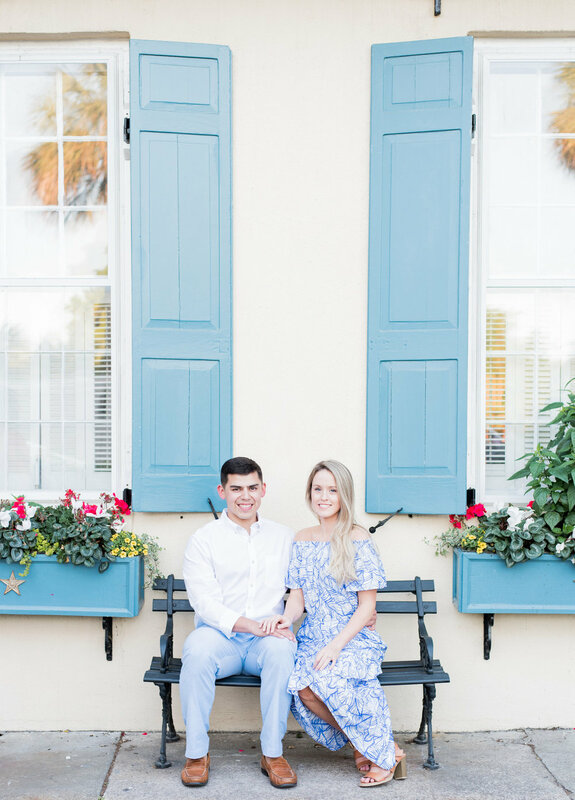 Says photographer Rebecca, "They had a wait awhile to do their engagement session, because John just got back from serving our country overseas." 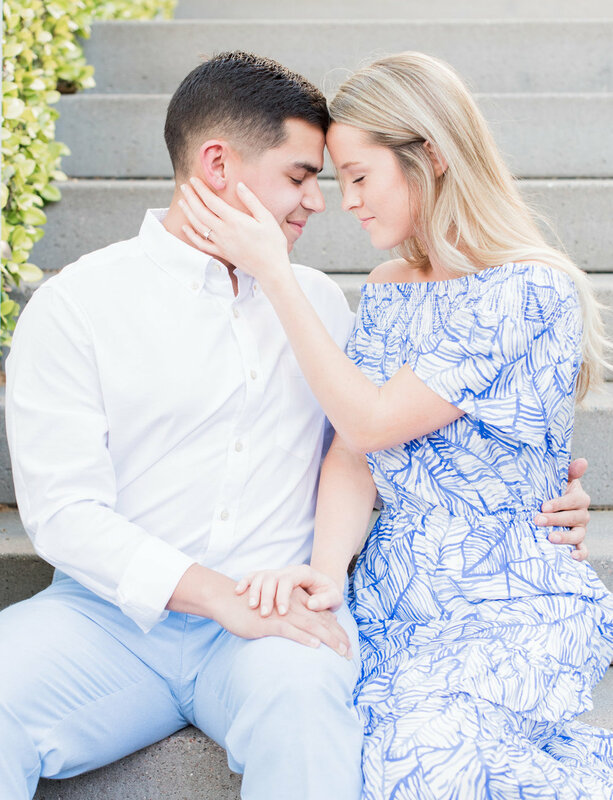 Their session was worth the wait, as it turned out beautifully! 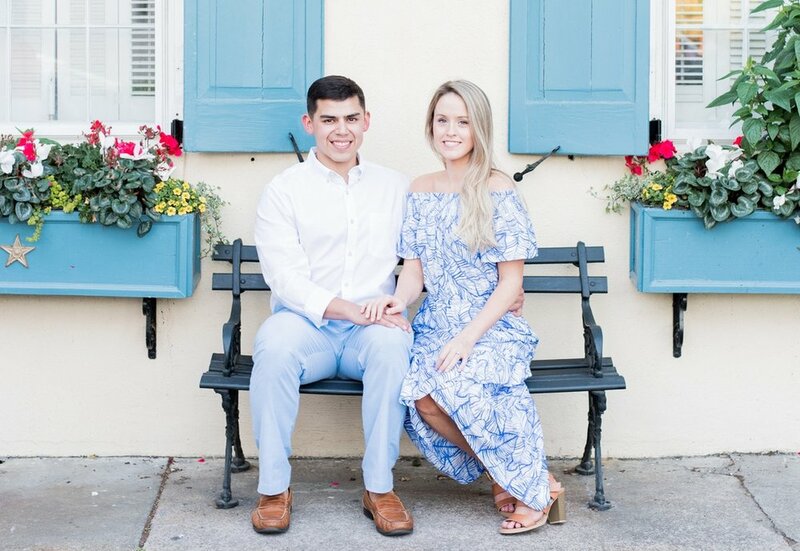 The two met as students at the University of South Carolina and tied the knot at the Lace House in Columbia, South Carolina, in May 2018. 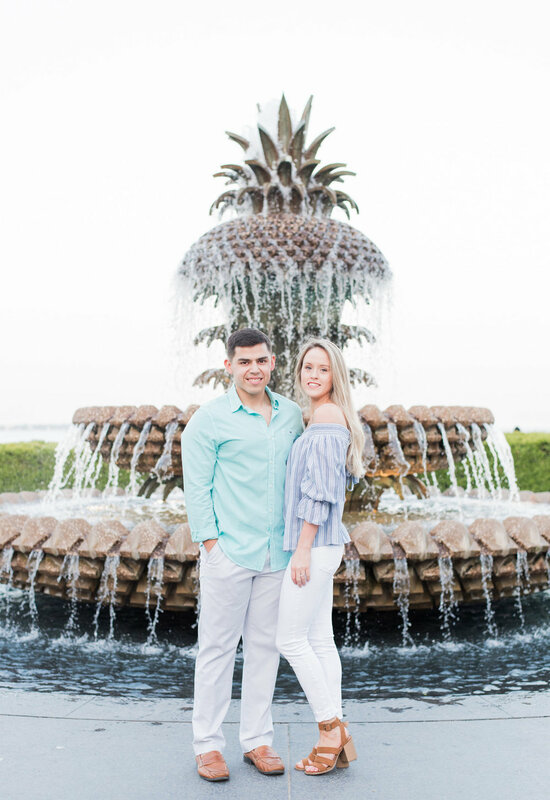 But before their big day, they captured their sweet history with an afternoon by the Battery and Pineapple Fountain. "[The session] was such a treat!" gushes photographer Rebecca.